States bear the primary responsibility for upholding Freedom of Religion or Belief. As a member of the legislature or parliamentarian, there may be a number of tools at your for raising disposal within the parliamentary system that can be utilised to raise the profile of FoRB with your government and holding ensuring it fulfil its domestic and internationals commitments. With regard to violations occurring elsewhere, the department responsible for Home Affairs may have to process asylum applications in cases involving religious persecution, for example. The Foreign Ministry or equivalent will be the principal department responsible for the protection and promotion of FoRB worldwide. You can inquire about the policy positions transmitted through your country’s network of embassies worldwide and in international fora such as the UN. The department responsible for administering foreign aid may also consider human rights, including FoRB in its work. Defence and trade are often key areas of cooperation between states in which human rights, including FoRB may be addressed. In order to interrogate your government’s policy on FoRB, you may wish to liaise with one or more of these departments. Parliamentary questions may be known by different names depending on the country. For example in India questions may be starred (requiring an oral answer), unstarred (requiring a written answer) or short notice questions (urgent question), which require a response within ten days. Urgent questions are particularly effective when there is a pressing FoRB issue which is escalating quickly. Ascertain how your government is taking account of FoRB in trade, defence and aid negotiations or agreements. Oral questions are scheduled question and answer sessions in the parliamentary calendar with the ministers responsible for different departments. To ask the Foreign Minister what recent assessment he/she has made regarding respect for freedom of religion or belief worldwide and what steps the government is taking to promote it. A supplementary question can often be asked that specifically presses the government to take further action. In far too many parts of the world, freedom of religion or belief is being severely undermined. Will the government establish a commission/special envoy on freedom of religion or belief to advise on these important issues? To elicit a fuller more considered response from a minister or government department, you could write a formal letter to the relevant minister, possibly attaching a research report or briefing that gives more information. A letter signed by several parliamentarians would further communicate the level of concern about the issue, particularly if it is cross-party. To call attention to particular cases or situations, you could work with other like-minded colleagues to issue a joint public statement. This can engage media interest and also bring issues to a wider audience both locally and internationally. This statement could be done in conjunction with advocacy letters initiated by IPPFoRB. Debates provide an opportunity for a lengthier and more focussed discussion on an issue. They are also an opportunity to present recommendations to the government and to challenge the minister on his/her answers. Table a debate on the worldwide situation of FoRB and the government’s response. Hosting a hearing provides an opportunity to discuss lesser-known issues, hear from informed civil society and/or from victims of violations (if it is safe for them to participate), and raise awareness of an issue. Host a hearing on FoRB jointly with civil society, highlighting a particularly egregious situation or discussing the intersection of FoRB with another human rights issues such as freedom of expression, women’s rights or children’s rights. You could propose new legislation on equality and non-discrimination, minority rights and FoRB and/or submit amendments to proposed legislation which would undermine fundamental rights and freedoms including FoRB. Good relations with civil society can be helpful here, as international and/or local nongovernmental organisations (NGOs) may be able to identify legislative initiatives of particular concern, and suggest amendments which would better protect FoRB. You can inquire about arrests, observe trials to ensure due process is observed, visit prisoners and meet civil society, including religious leaders, women’s groups and young people from different faith and non-faith backgrounds in your local constituency. If violations have occurred in a different local community or even abroad, you can visit these communities, possibly with a delegation. This will show support for people who have experienced FoRB violations and will inform and enhance your ability to engage in the aforementioned parliamentary activity. You can use social media to share details of your findings, and of the action you have taken in parliament on peoples’ behalf, and in support of civil society on particular issues or cases. A number of countries have created the post of special envoy or ambassador for FoRB in order to enhance governmental focus on this right. In the United States, the position of US Ambassador-at-Large for International Religious Freedom was created by the Congressional International Religious Freedom Act of 1998. The Ambassador-at-Large heads the Office of International Religious Freedom (IRF) in the State Department, which is tasked with promoting religious freedom as a core objective in foreign policy. The IRF produces an annual report highlighting countries of particular concern and works closely with the U.S Commission on International Religious Freedom (USCIRF). The Ambassador- at Large is nominated by the President, before being confirmed by the Senate. In 2012, Norway created the position of Special Envoy for Freedom of Religion or Belief within the Ministry of Foreign Affairs to support government efforts to promote religious freedom abroad. The European Commission created the position of Special Envoy for the promotion of freedom of religion or belief outside the EU in May 2016, with an operational mandate focusing on respect of diversity and interreligious dialogue. Denmark established the Office of the Special Representative for Freedom of Religion or Belief in January 2018, under the jurisdiction of the Danish Foreign Office. The remit of the role is to promote freedom of religion and conscience throughout the world as a fundamental human right; to assist religious minorities in upholding their rights; to assist NGOs in promoting FoRB, and to strengthen Denmark’s international reporting on FoRB violations. The German cabinet created the role of Federal Government Commissioner for Global Freedom of Religion in March 2018, under the jurisdiction of the Federal Ministry of Economic Cooperation and Development. The Commissioner will present a report on freedom of religion to the Federal Government every two years. The United Kingdom appointed a special envoy for FoRB in July 2018. The scope of the role is yet to be determined. Table a question or write a letter calling on your government to create the role if it does not exist and would be beneficial. Please note: before undertaking this action, research must be conducted into what would be the most effective call. Relevant civil society organisations could offer recommendations on how to make the role more effective if it already exists, or whether or not the creation of such a role would be useful in advancing FoRB advocacy. Cross party groups in the European Parliament provide strong platforms for parliamentarians to collectively raise and analyse FoRB issues. Cross Party Groups can be specific to countries, or to themes relevant to FoRB. They can host events in legislative bodies that include input from civil society. This kind of focused activity often has the added benefit of attracting the attention of the media, which is accustomed to reporting on events in parliament.  For example, The UK APPG on International Freedom of Religion or Belief publishes reports in partnership with civil society and coordinates hearings and other action to promote FoRB in the UK parliament. Establish or join a cross-party group or caucus on FoRB in your legislative body in order to ensure a continuing focus on FoRB. If you are already a member of a cross party group or caucus on FoRB, make contact with FoRB parliamentary groups in other countries to share experiences and agendas, and formulate joint-activities. Committees hold a government to account on its policies and can initiate inquiries into particular issues. If there is an inquiry on human rights, submit relevant information on FoRB. Engaging with human rights committees is an important way to mainstream FoRB into human rights discussions and decisions. If not, contact the Chair of the relevant committee and make a case for an inquiry on human rights that includes FoRB. In addition to international networks such as the IPPFoRB, regional networks provide an opportunity for targeted FoRB advocacy and it is recommended that parliamentarians participate. ASEAN Parliamentarians for Human Rights (APHR): Comprising current and former parliamentarians from the Association of Southeast Asian Nations (ASEAN), this body works to uphold democracy and freedom and promote sustainable human rights solutions. APHR are in the process of establishing a parliamentary network on FoRB. IPPFoRB Latin America: If you are a parliamentarian from Latin America you can contact IPPFoRB Latin America. AfriPAHR: In 2017, a number of parliamentarians from southern African states established the African Parliamentary Association for Human Rights. This Association has a particular focus on FoRB. If you are from a region that does not have one of these groups, consider creating one, e.g., “Balkans Parliamentarians for Human Rights”, an IPPFoRB South Caucasus or IPPFoRB Middle East.